After leaving ‘Weekly Idol,’ Jung Hyung-don and Defconn are coming back with a new K-pop variety show. On April 12, JTBC announced its plan to launch a new TV show featuring K-pop idol groups. 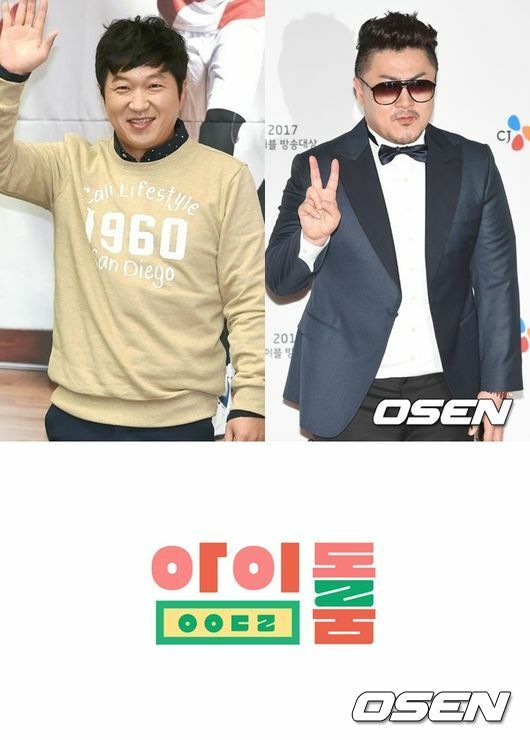 The show casts the “Doni Coni” duo, Jung Hyung-don and Defconn for the show’s hosts. The two stars had led ‘Weekly Idol’ for the past 7 years, being established as the most recognized K-pop show hosts. Kim Jin, the former producer of ‘Weekly Idol,’ is joining the new crew, increasing fans’ expectations for the upcoming K-pop variety show. JTBC’s new K-pop variety show ‘Idol Room’ will air its first episode in May.